Grand Bahama offers the best of both worlds. It gives you that city atmosphere combined with an out island appeal. Grand Bahama is the northernmost of the islands of The Bahamas, with a population of approximately 51,756 covering an area of 1,373 km. The twin city Freeport/Port Lucaya, boasts some of the best shopping on the island. The beaches are second to none and the beauty of the island speaks for itself. With emphasis on eco tourism, Grand Bahama Island has something for everyone. It offers many nature activities, such as the dolphin encounters, one of the largest underwater caves, kayaking, diving, safari ride, horseback riding and the beautiful garden of the groves, a twelve-acre garden full of tropical plants and animals: one of the most popular tourist attractions on the island, in which many couples opt to get married. A perfect weddings destination, you can choose from many exotic and classic sites to marry or simply exchange your vows with you and your significant other on miles of beautiful sandy beach. Let’s not forget the many diving operations on the island offering wreck, reef, and dolphin diving. You can get up close to these exotic creatures in a close encounter or swim. The hotels on Grand Bahama offer a variety of accommodation from 5 star luxury, beach bungalows, villas/cottages and private homes. Dining on the island is a pleasurable experience with many restaurants serving local and international cuisines every day of the week, while you watch a cultural show under the stars. If you like bird watching then Grand Bahama is a great choice. At the west end of the island you can glimpse many gulls and terns, including a Greater Black-backed Gull and Foster’s Terns. 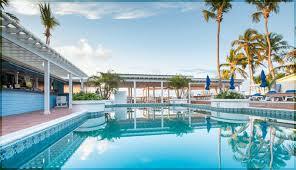 Escape the busy schedule of a hectic life and unwind in Grand Bahama Island.